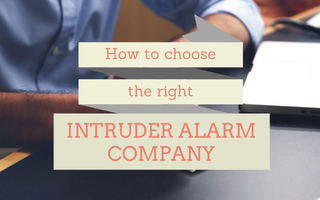 How To Choose The Right Alarm Company | What To Look For? With the days getting rapidly shorter and the long dark nights of winter approaching it may be a good idea to think about installing or upgrading your home intruder alarm system. With the latest technology the days of a few motion sensors, basic keypad and loud bell have long since gone. Functionality has increased greatly in the last few years and modern home security systems can make protecting your home more effective, simple to use and affordable. Below are some of the options that should be offered by any reputable home security installations company. 1. The ability to set or unset your alarm system remotely from your mobile phone, laptop or pc. Ideal if you suddenly remember on the way to work that you have forgotten to set the alarm. 2. The ability to set or unset your alarm using a wireless key fob. The key fob operates like a car key fob and allows the alarm to be set without the need for a pin number. smartphone app on your mobile or on pc or laptop via a web browser. This is a useful option for those wanting to keep an eye on elderly parents, tradesmen, childminders or teenagers! 4. 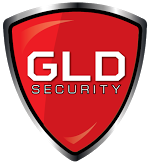 The ability to include a range of detectors to your home security system, depending on your particular needs (including pet friendly ones). These should include motion and perimeter shock detectors, breaking glass detectors, smoke and heat detectors, flood detectors, carbon monoxide detectors. There should be wired and wireless options. 5. The ability to link a range of detectors to you cctv system so that when a detector is triggered it sends live images of the event to your smart phone. You can then view these images and check your property immediately, from anywhere in the world. 6. Key fobs with an integrated panic button. These wireless key fobs contain a button that when pushed triggers the alarm to sound. This could be particularly useful for elderly customers or give parents with ‘home alone’ older teenagers some peace of mind. 7. A backlit external sounder, installed on the outside of your house, can be very useful as an extra visual intruder deterrent, particularly in winter when it starts getting dark very early. 8. Any good home security company should be able to provide a variety of keypads, detectors, accessories and peripherals to suit all budgets.